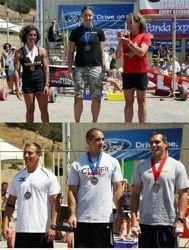 This past weekend I competed in the Crossfit games bringing competitors from around the country and the world. I had set goals and made plans to win the games. After all the dirt settled I came in 3rd place over all! More pictures and videos coming soon! 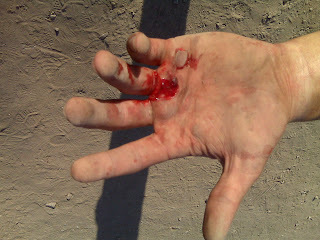 This is my hand after all three Saturday workout events....ouch! Good for you Jeremy! I shouted my excitement when I saw the results on Sunday, and saw that Crossfit Central made it onto the podium. That's a huge achievement! It really motivates me to get to CC Headquarters. You are a metabolic beast. Congratulations, Jeremy! I was following the updates all weekend. You are the man! I will be gunnin for you! Sic Fit! For real!